Systems Engineering, with economics, probability and statistics, 2nd Edition, J. Khisty, J. Mohammadi, and Adjo Amedkudzi, Ross Publishing, Fort Lauderdale, FL. 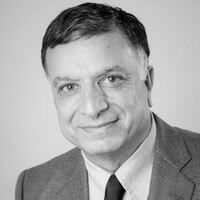 NDT Methods Applied to Fatigue Reliability Assessment of Structures m> (J. Mohammadi, editor), American Society of Civil Engineers, 2004. Guralnick, S.A., and Mohammadi, J. (2010). A probabilistic mechanical model for simulating fatigue failure in metals – modeling the damage accumulation process," International Journal of Structural Engineering. Mohammadi, J., and Polepeddi, R., Bridge rating with consideration for fatigue damage from overloads, Journal of Bridge Engineering, ASCE, Vol. 5, No. 3, Aug. 2000, p 259-266. Byers, W., Marley, M., Mohammadi, J., Nielson, R. and Sarkani, S. (1997).Fatigue reliability reassessment procedures: a state-of-the-art paper, J. of Structural Engineering, ASCE. Byers, W., Marley, M., Mohammadi, J., Nielson, R. and Sarkani, S. (1997).Fatigue reliability reassessment applications: a state-of-the-art paper, J. of Structural Engineering, ASCE. Mohammadi, J., Guralnick, S.A. and Yan, L. (1995). Incorporating life-cycle costs in highway-bridge planning and design, J. of Transportation Engineering, ASCE, Vol. 121, Number 5, September 1995, p. 417-424. Hahin, C., South, G., Mohammadi, J. and Polepeddi, R. (1993). Accurate and Rapid Strain Gage Determination of Fatigue damage in Steel Bridges, Journal of Structural Engineering, ASCE, Vol. 119. Apirakvorapinit, P, Mohammadi, J., and Shen, J. (2011). Analytical Investigation of Seismic Damage to a Skewed Bridge, Practice Periodical on Structural Design and Construction, ASCE. Mohammadi, J., and Modares, M. (2012). A Practical Approach in Using Uncertainties in Structural Condition Assessment, Practice Periodical on Structural Design and Construction, ASCE (on-line edition). Djavid, M., and Mohammadi, J. (2011). Comparative Risk Analysis for Reconstruction of a Partially Failed Dike System, Practice Periodical on Structural Design and Construction, ASCE.